Variable Speed Drives (VSDs), also known as adjustable speed drives (ASDs) are becoming highly prominent across the industries for controlling the speed of motors and for process control. Across the plants and industries that use powerful electric motors, VSDs effectively matches the speed of the motor to the required level, thus adjusting the process’s variables for requisite output, increasing the efficiency of the system and improving power saving. These drives provide multiple ready to connect motor control solutions, from compacted, pre-engineered ones to the custom and complex solutions that are fully designed to meet different industrial motor and process control applications to the optimal level. 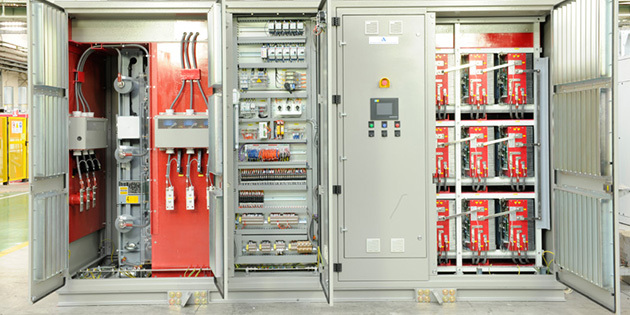 The variable speed drives provides the ideal solution for increasing energy saving and enhancing the efficiency, life and performance of the system enhancing flow control process operation with less stress, wear and tear and controlled process. These drives are suitable to be used across for range of induction motors in numerous industrial applications, small to large ones, with fairly easy and simple deployment and mechanism. You can get a wide range of solutions pertaining to Variable Speed Drive (VSD) to specifically meet your industrial process requirement with complete support from Shenzhen Veikong Electric CO.Ltd. The firm develops quality solutions manufactured in the state of the process manufacturing plant and designed to the highest quality level meeting international standards.